​BT Sport and Match of the Day presenter Gary Lineker has claimed Arsenal could face a 'bit of a wait' before the club return to the Champions League. The Gunners are currently sixth in the Premier League - five points off Chelsea in fourth - in what is Unai Emery's first season at the club following Arsene Wenger's departure. The north London side are on course to finish outside the top four for a third successive season, meaning they'll fail to qualify for the Champions League once again. 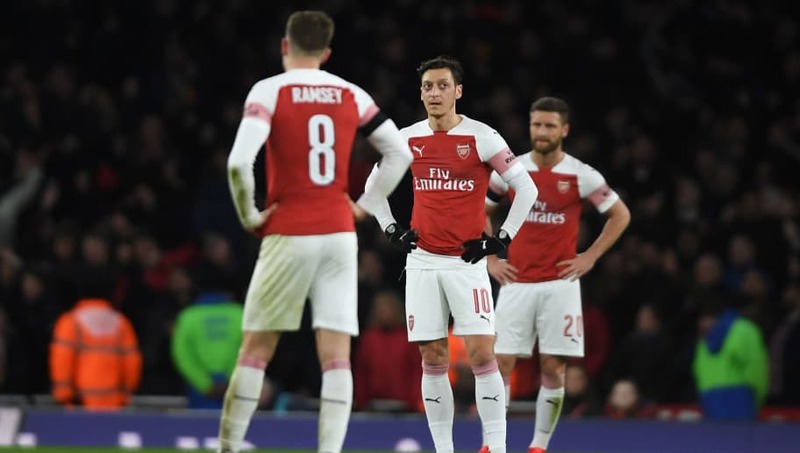 Lineker thinks it could be a while before ​Arsenal return to Europe's elite club competition, comparing the situation to when Sir Alex Ferguson left ​Manchester United in 2013, when they reached the top four twice in the five seasons that followed. Speaking to ​Football.London, he said: "I think rather like Manchester United after Sir Alex left, I think they're in for a spell. "I think it's always hard after a manager has been so dominant at a club for so long, like Arsene Wenger was and like Sir Alex was, it's hard for a club to kind of reinvent itself which is what they're trying to do. It could be long and a bit of a wait for them." While Emery has a battle on his hands if he's to get Arsenal into the top four come May, Lineker believes the Spaniard needs time, and backing in the transfer window, if he's to enjoy success at the Emirates. Asked what Arsenal are missing, Lineker replied: "Quality of players. "I was talking the other day with a couple of mates about how many Arsenal players would you put in either City, Liverpool or Tottenham's side, or even United's side. "How many Arsenal players would get in any of those four teams? One or two possibly in one or two clubs maybe, no more than that. I think that says it all. He [Emery] will need a few windows to find good players. "It’s going to be an intense battle for the Champions League spots, but there’s a long way to go. We’ve got a great group, we're very united, and we want to improve as much as possible." "Just because you've spent big money, which is not what they've really done, even if they did they've got to get it absolutely right. Their recruitment is going to be vital."